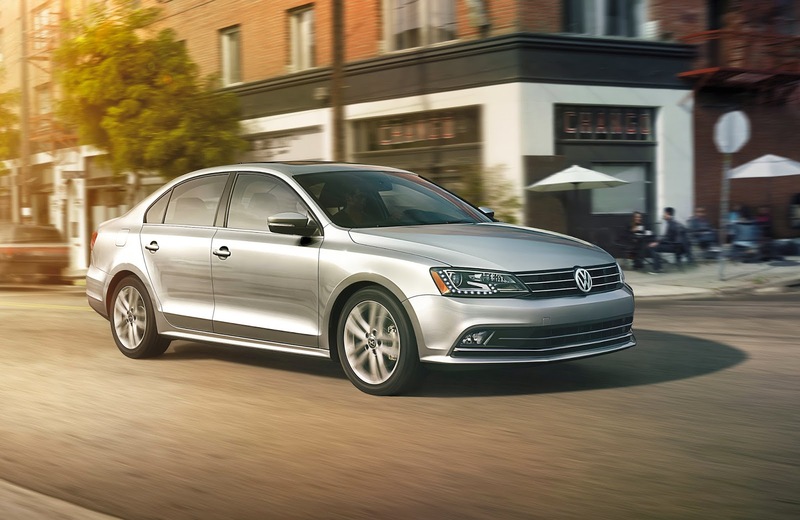 The redesigned 2015 Volkswagen Jetta offers all new features, new style, new exterior, new engine, new safety features, and new available options. That’s a whole lot of new. Our commitment to safety earned us a 2014 top safety pick from the Insurance Institute for Highway Safety, and a Five-Star crash test rating from the National Highway Traffic Safety Association (NHSTA). Premium interior options can include VW Car-Net connected, a Fender premium audio system, front collision warning, and blind spot monitor with rear traffic alert. Your fuel economy will depend on which Jetta you choose. The Jetta has an available TDI turbo diesel engine; the hybrid electric engine; or the 1.8L, 210 hp turbocharged Jetta GLI engine. We wanted to make the Jetta like you, unique right down to what drives it. Find your perfect Jetta; it’s waiting for you. Schedule a test drive today at the Olympia Automall. If you're looking for new or used car dealerships in Tacoma WA come to the Olympia Automall. Will help you find the car that's right for you.